acoustic folk, to dramatic synth-laden electronica, and urgent guitar led alt-rock. 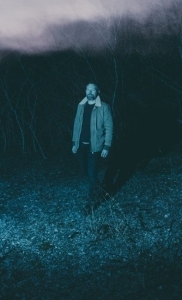 The common thread has been a songwriting style that marries a subtle melodic sensibility with lyrics full of natural imagery and dark emotional heft - all delivered in his striking and distinctive vocal. In the process Hegarty has quietly built a major cult following in Europe and the US, which has seen Q magazine dub him the "British Bon Iver".